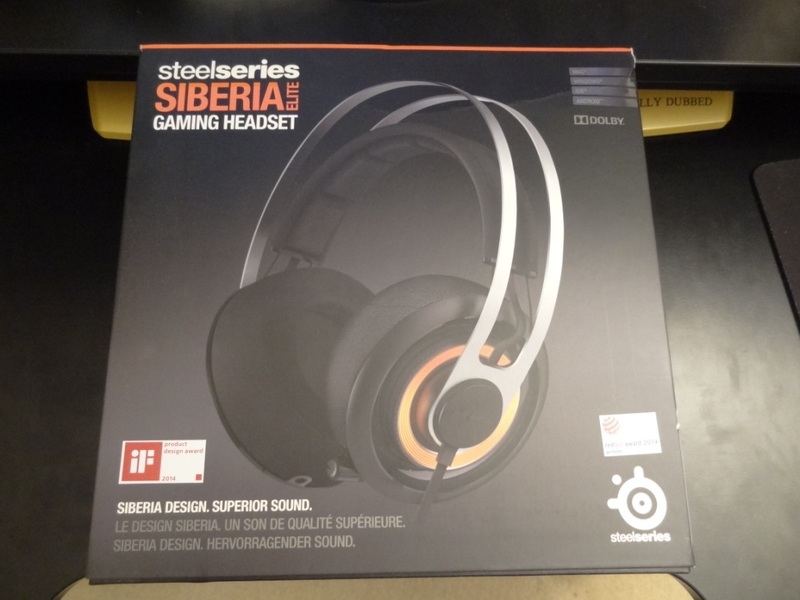 First of all I would like to thank SteelSeries for sending me their headset for review. 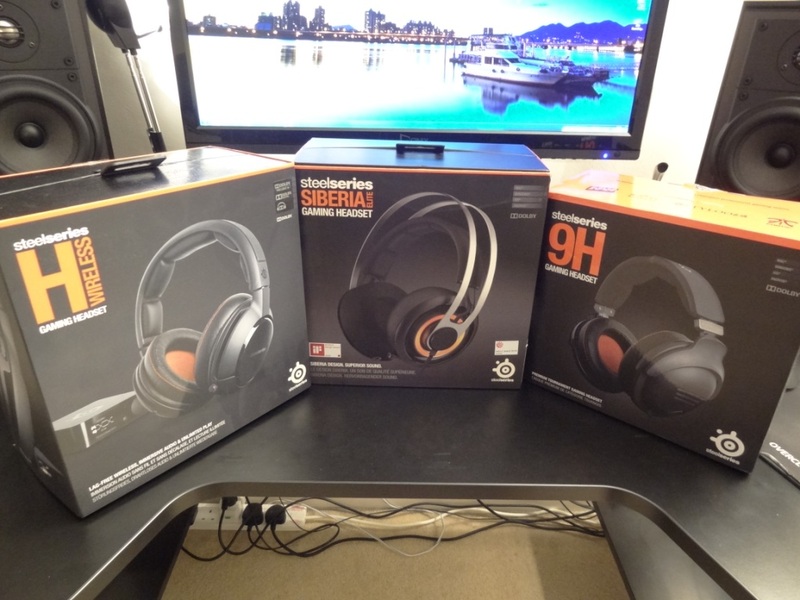 After having received the Siberia V2, 9H and H Wireless, I was interested in knowing where the Elite would fit into the equation. The Elite, should sit between the 9H and H Wireless price bracket – however after checking, whilst writing this review in late September 2014, it seems that the 9H is actually more expensive than the Elite – which surprised me. This therefore brought me a lot of interest as I would be interested to know how the Elite would fair, at a cheaper price but yet supposedly better on paper than the 9H. The headset can be bought for around £115 on AmazonUK & AmazonUSA for $200. The build quality of the Elite is excellent. 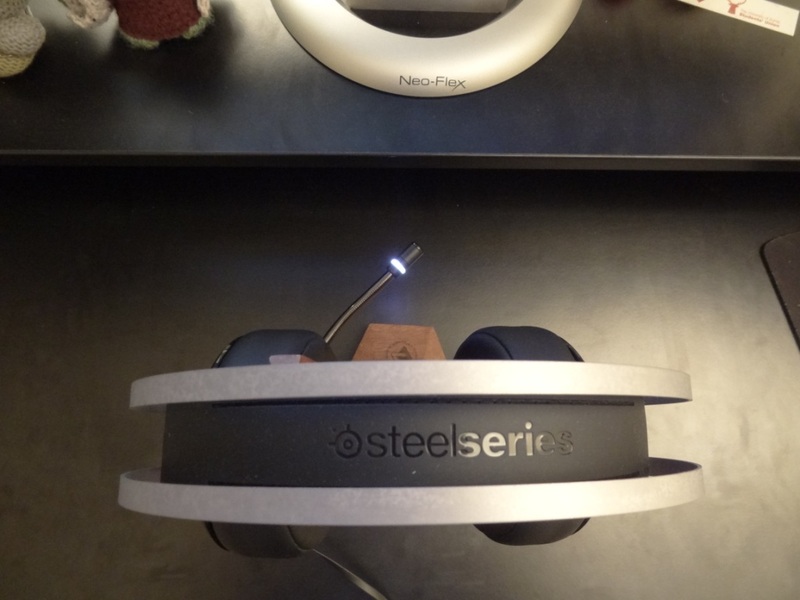 From top to bottom, I really like what SteelSeries have done with it – more than any of the other models I’ve reviewed. This also comes down to the way the headset is designed. Moving on from the cable design, the headset also has a 3.5mm input, which allows you to daisy-chain another audio device to it and thereby allowing you to share music, whilst listening to the Elite. This is great if you’re watching a movie with a friend and would like to use your headset and other audio device as a means of listening to it. 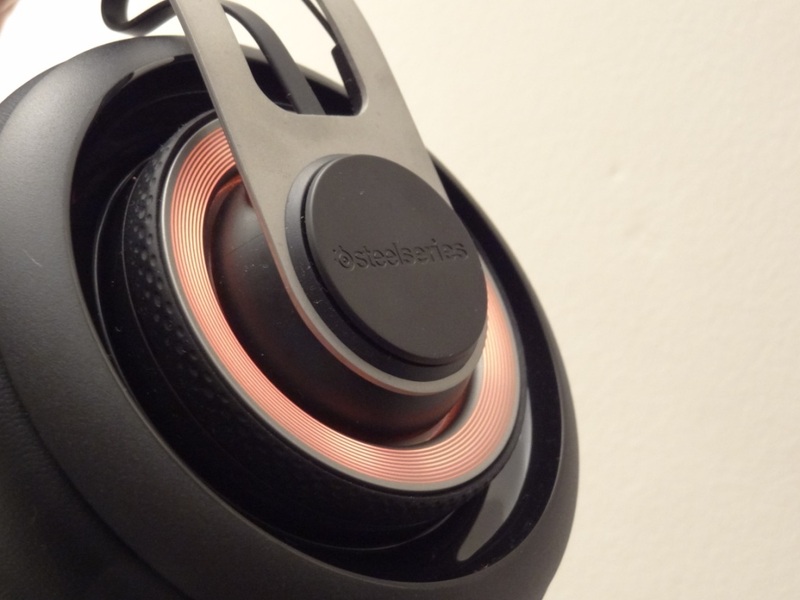 Not something I personally think is a must-have in any audio device, nor something I would ever use – but useful to have nonetheless and yet again, great job from SteelSeries in thinking about the wider demographic. 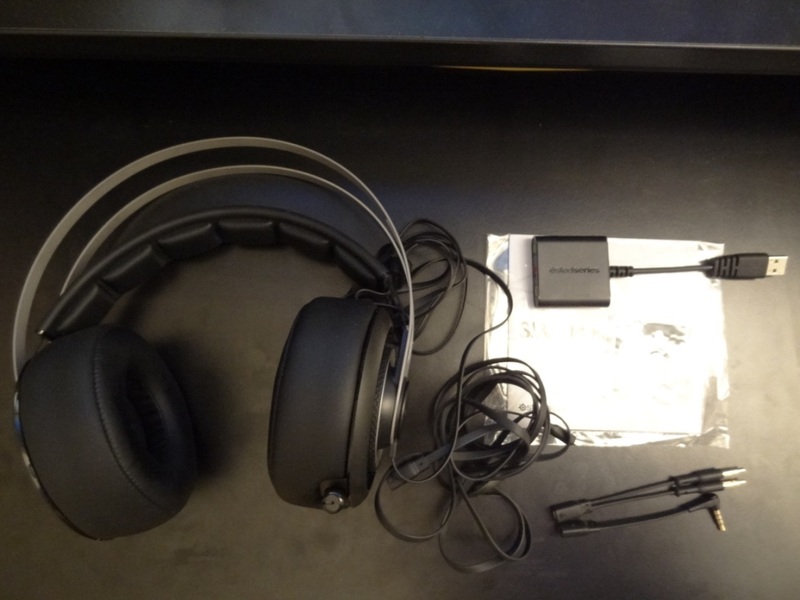 The headset is not only great with connections, but also with other aspects too. Mainly the headband design – which in all honesty is flawless. Easily the best headset design I’ve come across and similar to some high-end audiophile headphones I’ve also tried (such as the Audeze line). 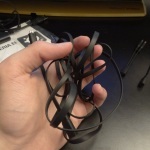 Starting from the headband assembly, the materials chosen by SteelSeries ooze quality. 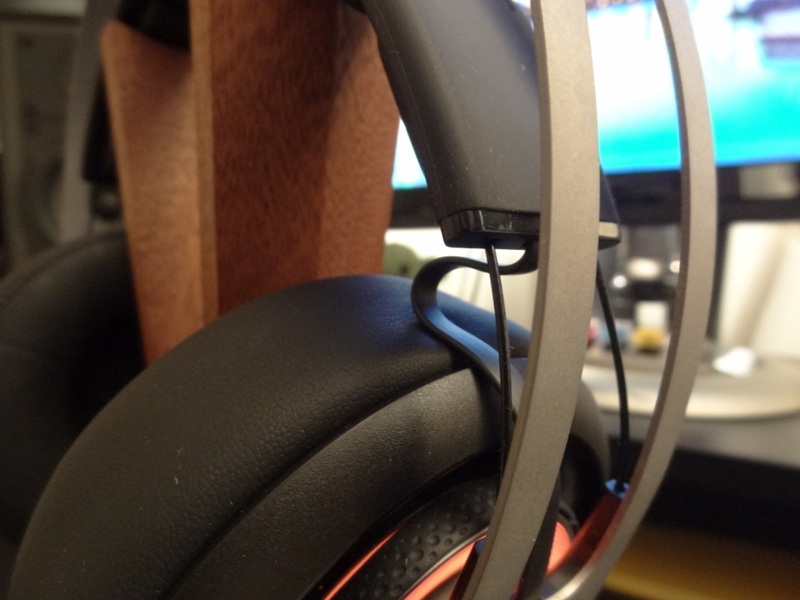 With a metal construction and leather padding, you can see why this is a step-up from the 9H’s plastic and the lightweight design of the Siberia V2. With a selection of good quality materials, it’s nice to see the headset being well designed too. With the headband being suspended, it allows the headset to adjust to your head, rather than you having to play around with any adjustments. 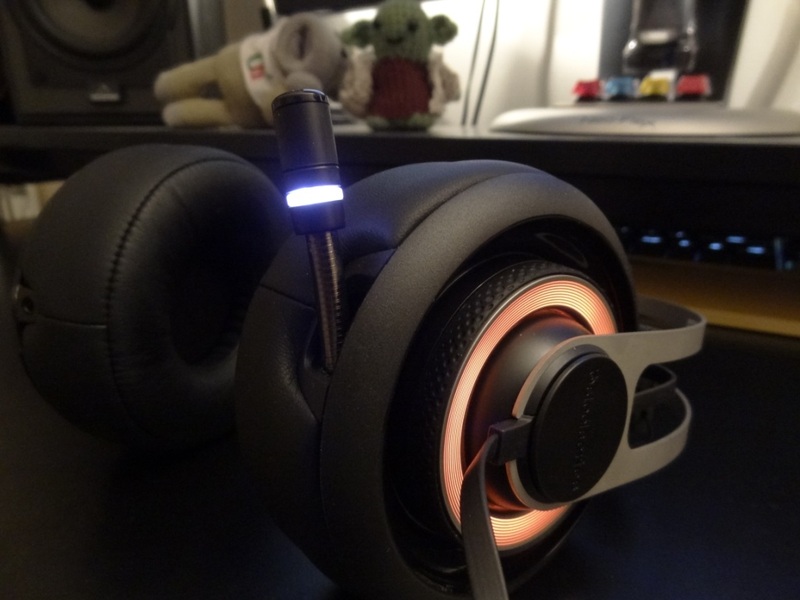 This is similar to what I saw in the Siberia V2, which was a design feature that I really liked. 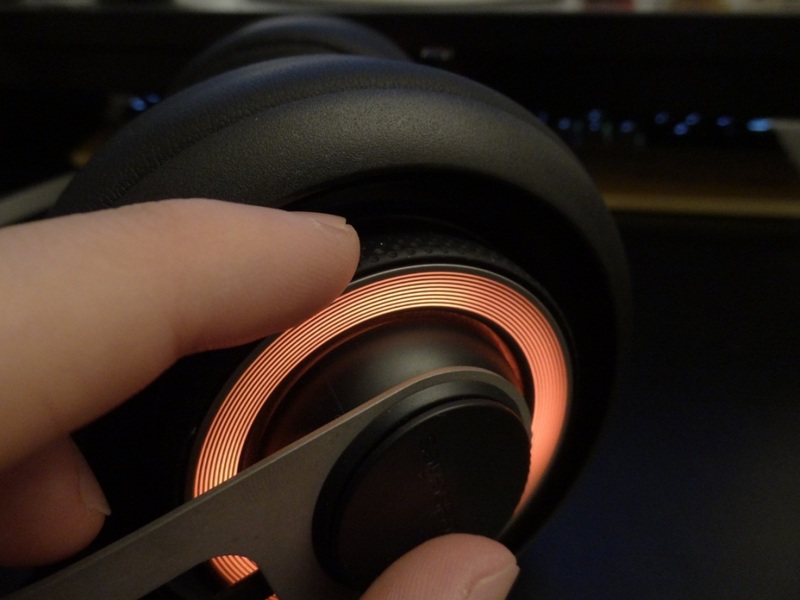 The only downfall of the Siberia V2 was the very thin material holding the frame together. It is safe to say that the Elite doesn’t have this problem. It is really well made and suspended strongly. I feel that the choice of having a leather/pleather headband also increases the comfort of the headset. Therefore, the overall build of the headphone and the design is flawless. Something I would like to see more audio companies integrate, let alone gaming headset manufacturers. 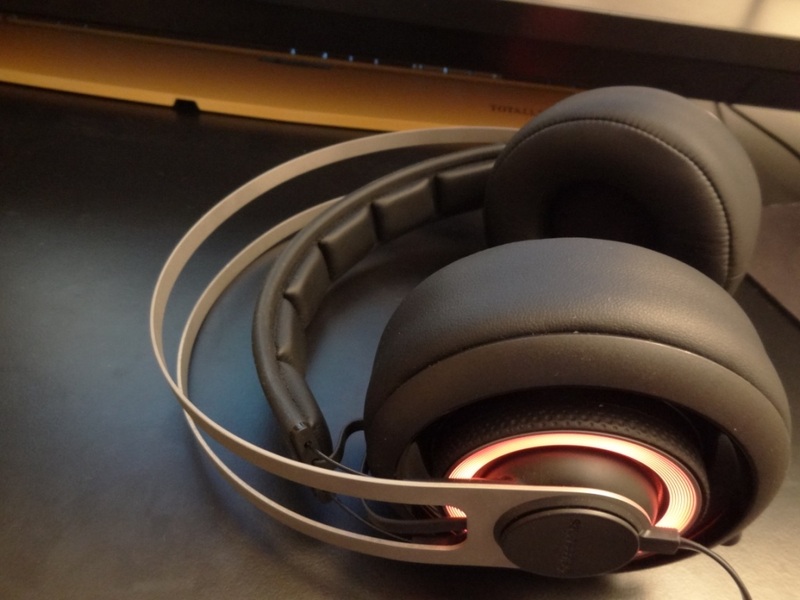 Adding to the build quality and design of the headphones, the Elite comes with an LED contour that can be adjusted to your liking via the SteelSeries software. This gives you the choice to customise the colour of your headset the way you want – it isn’t something that’s a must in any headphone/headset, due to the fact that you cannot see it whilst it’s on your head, but regardless, it’s great to have, when you don’t have it on your head, or if you take it to a friend’s house/competitions. I should also mention the microphone’s positioning and placement. 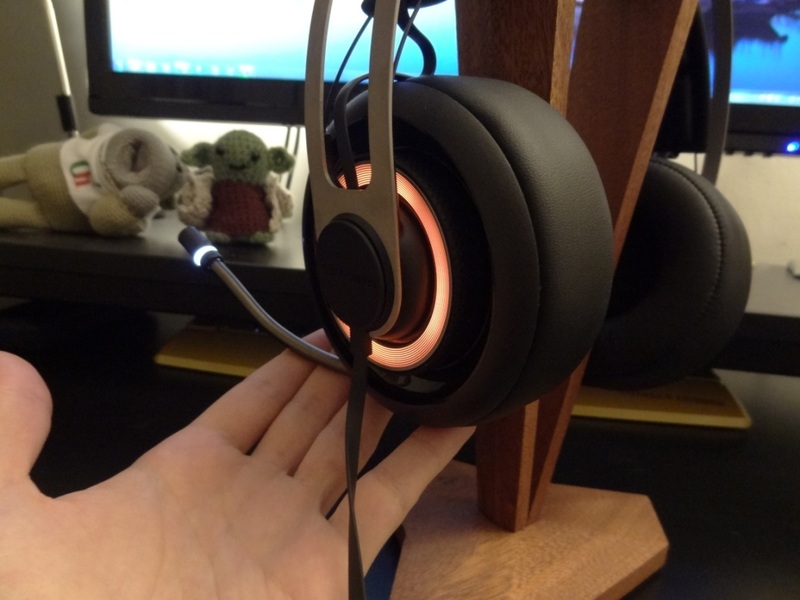 Like with other SteelSeries headsets, the Elite has a retractable microphone (left side of the headset), which is absolutely great for cable management and ease of use. There’s no plugging in and out, it’s just as easy as pulling the microphone from its driver and using it. 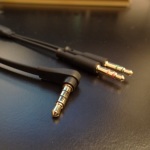 The wire that the mic has is also very malleable and therefore allows you to position it in any way you see fit. The Elite’s mic also has a small light on it, denoting when it is muted. Therefore when the light is on, it means the mic is muted – a nifty little feature. Finally, touching on comfort, the headset is very well padded. The ear pads are nice and soft and also very thick. This means that isolation is aided by it and furthermore comfort, even with glasses on, is excellent. Overall the comfort is excellent – flawless in every aspect. Following on from the comfort, the isolation is unsurprisingly good. Although not perfect, it is still well above average and almost perfect as far as non-active noise cancelling headphones go. With a closed-back design and large, comforting pads, it’s no surprise the Elite does well in these areas. However, something to note, is that the headphones do leak quite a lot of sound out the headphone. Therefore I wouldn’t be inclined to use it in a public area, where you might disturb others around you. 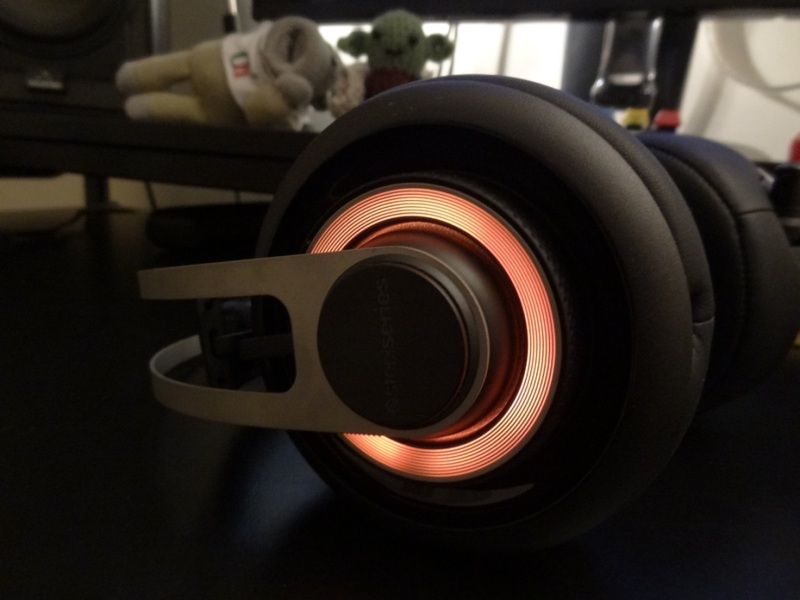 The software used to be one of the major downsides towards SteelSeries products I reviewed. Be it down to compatibility/conflict issues or basics of software functionalities. I’m pleased to say that the software that’s bundled with the Elite is excellent. You’ve got all the functionalities you’ll want to use (such as EQ) and it’s great to have the full control of the headset, for its colour profiles you can set. The vast array of customising you can do is great. I especially love the fact that you can have a “live preview” of what the software features are doing to your sound (ie Dolby sound being enabled and disabled). 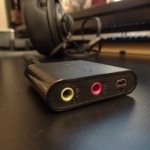 The sound quality is always the most important piece of any audio equipment. After having tried the other headset, I should say that this really does sit in-between the 9H/Siberia V2 and the H Wireless. The sound is nothing spectacular, nor is it extremely disappointing. The lows were by far the best trait of the headset. I really liked the extension that the headset had and more so how the mid-bass would slam in your face when explosions would go off in games. The lows are therefore well pronounced and reasonably prominent. You therefore won’t be disappointed when FPS gaming, with explosions, tanks rolling by and missiles being fired. With that said, due to the slight emphasis on the mid-bass, the mids take a small hit. Their mid-range isn’t something that would get you up on your feet. The mids feel veiled, a little pushed back and more than anything a little artificial. Of course with a little EQ (that can be done via the software) it changes drastically, but still, out-the-box, these aren’t a set of headsets that will bring out the mids. Similarly with the highs, I felt that they weren’t particularly strong. The highs were often rolled off at the top end and thereby reducing the sparkle the headset had. This is slightly a shame as it doesn’t allow you to enjoy cymbals/high-notes in games. The soundstage on the other hand was impressive for a closed-back headset. Due to the added thickness of the pads, the sound has more time to travel and therefore gives you a better depth when listening to music or hearing footsteps in games. The width of the soundstage was also well done, as you could hear directional sound quite well. I didn’t bother using Dolby surround, due to the fact it sounded like putting your head in a fish-bowl. If you prefer that wide and odd sound, then more power to you, especially as soundstage is concerned – but I felt that it really reduces the quality of the lows, mids and highs when activated. Overall, the sound quality was above average, but I was expecting a little better from the elite, especially after having reviewed the Siberia V2, 9H and H Wireless. Finally, the microphone was a little hit and miss for me. 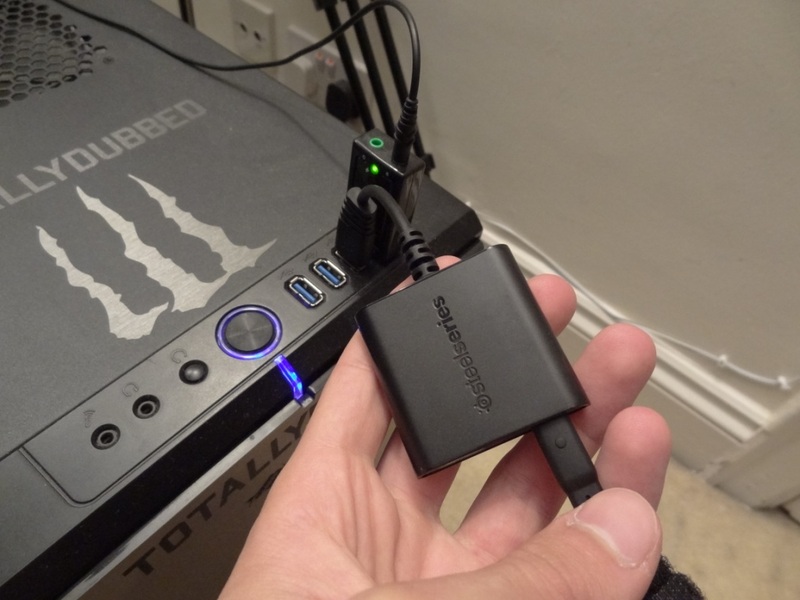 I was reasonably happy with its performance, but experienced some problems with the included USB soundcard. I am not too sure if that’s the soundcard or some sort of HDD interference. Via 3.5mm, the quality was acceptable and wasn’t anything revolutionary. I would use the mic, but not as a means of recording gameplay and uploading it to YouTube. In conclusion, for a £115 headset, I was reasonably impressed – for the price, you’re looking at something cheaper than an ATH-M50 and about the same price as an AKG K551/0 – which with the added mic and customisable options you get (ie colour options) and added mic, this headset is something to have on your purchase list. 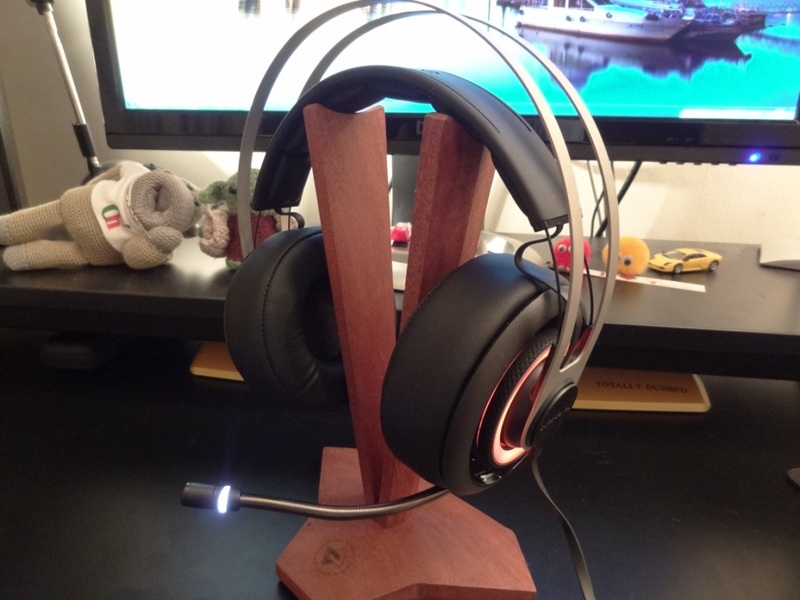 This entry was posted in Audio Reviews and tagged Elite, Gaming, Headset, Review, Siberia, SteelSeries on October 2, 2014 by TotallydubbedHD.